"My ally is the Force, and a powerful ally it is. Life creates it, makes it grow. Its energy surrounds us and binds us. Luminous beings are we." –Yoda Few books or games have had as enduring an impact upon the Star Wars galaxy and its fans as Star Wars™: The Roleplaying Game. Originally published by West End Games in 1987, it arrived at a time when the future of the Star Wars galaxy was uncertain, and it captivated a whole generation of gamers with rules and guidelines that made it easy to design and enjoy adventures truly worthy of the Star Wars universe and its ongoing space opera. 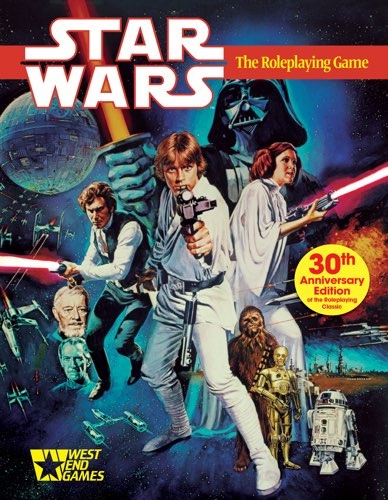 Our Star Wars™: The Roleplaying Game 30th Anniversary Edition is a faithful, limited edition recreation of both Star Wars: The Roleplaying Game and The Star Wars™ Sourcebook, both printed with higher quality than the originals and packaged in a stylized slipcase. The dominance of the Empire is absolute. No authority in galactic history has enjoyed such a degree of power. So, what are you going to do about it? Some will take advantage of the system and turn a profit any way they can. Others may quest to find secret truths that could unravel even the most imposing social order. A few will even take up arms against an invincible foe. They may even have a chance to win. 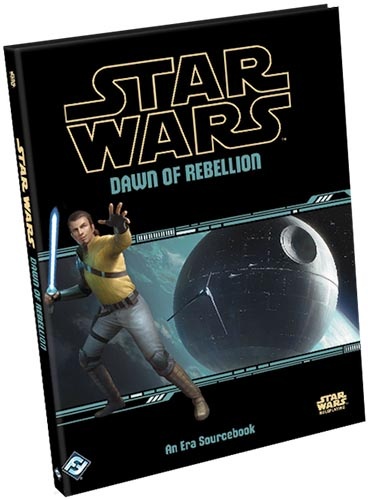 Dawn of Rebellion is a 144-page sourcebook designed to be a companion to any and all of the Star Wars™ Roleplaying Game lines. Describing the Star Wars universe in the years leading to the original film trilogy, it sets the stage of a dangerous galaxy primed for war. The stories you tell, however, will be on your own terms starting from the perspective of the Edge of the Empire, Age of Rebellion, or Force and Destiny and are then shaped by your own vision. Included in the sourcebook are new talent and species options for players, modular scenarios for gamemasters to include in their campaigns, and a wealth of information about the organizations, characters, and history that make the Star Wars saga so iconic.